The Doctor's Office is an exhibit dedicated to the family physicians who practiced in the Hoosier Heartland. 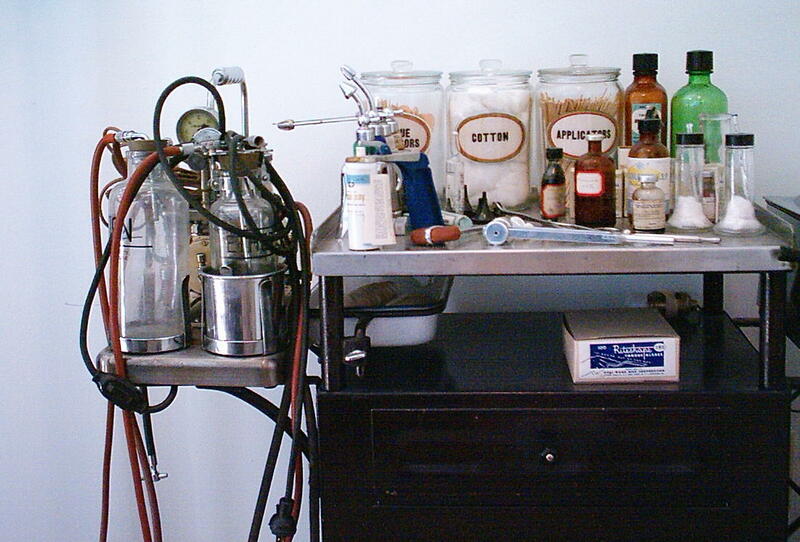 Prior to World War II, most doctors began their careers as family practitioners. In this capacity, a doctor served the people in a small town or local community, performing everything from treating common colds and setting broken bones to delivering babies and performing surgery - just plain doctoring. The exhibit contents comprise the intact office of Dr. Marion Scheetz of Lewisville, Indiana. The artifacts were donated by his descendants, and the display was made possible in part by a grant from the Indiana Academy of Family Physicians. The exhibit is located in an outbuilding that was once used as a morgue or "dead house." Visits to the Doctor's Office are included with the Old Pathology Building tour.